I don't know what a plague mech is, but if this is a typical one they scare me. 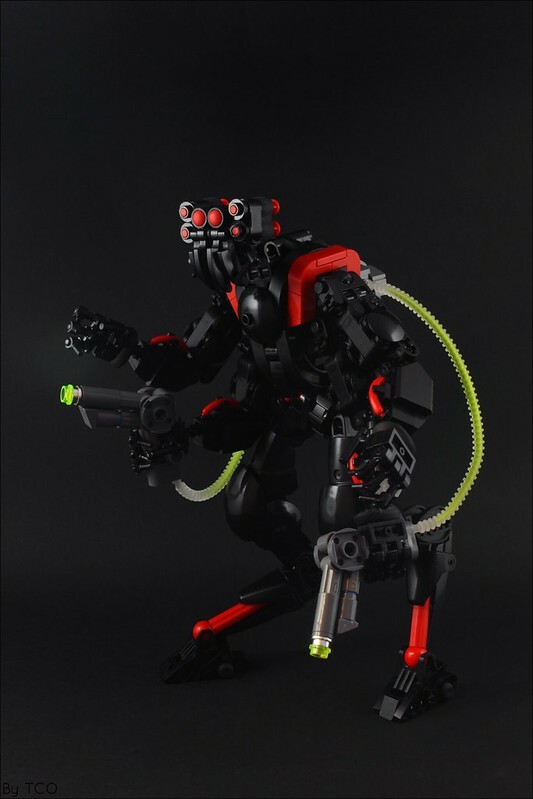 Black on black was a bold choice for photographing this MOC by The Chosen One, a gamble that paid off. What you don't see is just as important as what you do, this thing is scary. You get just enough visual queues to see the overall form, and key details, and the rest is left to your imagination, your terrified imagination.